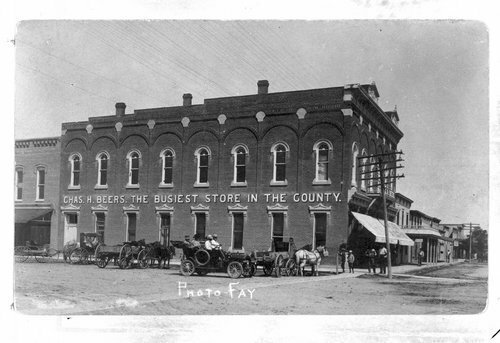 This photograph is of the Charles H. Beers store in Hoxie, Kansas, possibly taken in 1918. A sign across the front of the store reads, "The busiest store in the county." Horses and buggies and one car are on the street beside the store.